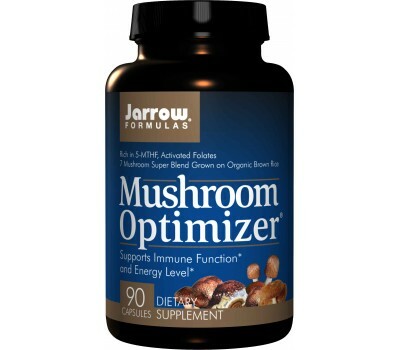 Jarrow Formulas Mushroom Optimizer contains extracts from 7 traditional mushrooms (Maitake, Shiitake, Reishii, Cordyceps, Turkey Tail, White Woodear and Blasei), known to boost immune function, using patented technology. Mushroom Optimizer combines Folagen™ biologically active folates, (formed by adding folic acid to the growth medium of certain mushrooms) with a spectrum of polysaccharides, to support immune function, promote healthy cell replication, and increase energy. who benefits from Mushroom Optimizer? Mushroom Optimizer is formulated for individuals looking to rebalance their immunity and boost their body's ability to safeguard against environmental toxins. Also, for those who wish to bolster vital organ funtion. 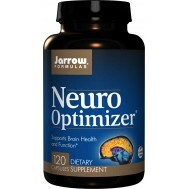 how does each active ingredient function in Mushroom Optimizer? The health-promoting aspects of these mushrooms are supported by both traditional wisdom and modern science. Mushroom Optimizer mushrooms are harvested during the mycelia stage, or early growth period in its life cycle, when its active compounds are most concentrated. Jarrow Formulas blended mushroom formulation offers more wide-ranging immune stimulation than is found in any singular mushroom product. Mushroom Optimizer provides a spectrum of activity from 7 different mushrooms. Having developed in different environmental niches, each mushroom promotes different immune defenses. Not all mushroom products are created equal. Mushroom Optimizer species are drawn from specially selected mushroom cultivars. Selected strains are cultivated in California under stringent conditions, grown under aseptic and controlled environments on organic brown rice, and processed with care. The result is uniform quality from batch to batch. No artifi cial additives or processing is involved. During cultivation, folic acid is added to support immune health and is reduced to its biologically active, methyl-donor form found in foods. These folic acid derivatives are important in multiple processes within the body, including the synthesis of DNA and the conversion of vitamin B12 into an active coenzyme form. Traditional Chinese Medicine has long claimed that the Qi or life force can be supported by ingestion of special foods. Certain mushrooms are considered to be amongst the greatest and most potent sources of Qi. Through the careful combination of mushrooms, the health of the inner organs can be supported. Modern science strongly supports many of these traditions. Much of the physiological activity of mushrooms is in the polysaccharides that these fungi produce. Mushroom polysaccharides are long-chain sugars or fibers that activate immune cells on the intestinal walls, which sends a variety of signals to cells and organs throughout the body. Grifola frondosa (Maitake): Active ingredients consist of both normal and protein-bound polysaccharides, especially beta-glucans, and a D-fraction glucan (70:30 ratio of polysaccharide to protein). This mushroom protects the liver, enhances macrophage (white blood cell), NK and T cell activity, and inhibits uncontrolled cell growth. Lentinula edodes (Shiitake): Contains lentinan, a large polysaccharide from the cell wall of either the fruiting body or mycelium. 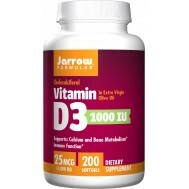 It can increase the phagocytotic (engorging) activity of macrophages and activates NK cells in vitro; it possesses antiviral, antibacterial and antiparasitic properties. Ganoderma lucidum (Reishi): Contains alkaloids, glycoproteins, polysaccharides (e.g., beta-D-glucan), triterpenes (ganoderic acids) and other actives. Ganoderma was shown to have antioxidant/free radical scavenging effects and is purported to have immunotherapeutic activity. 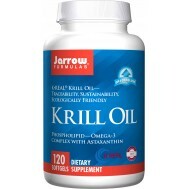 It also supports normal cell growth. Cordyceps sinensis (Cordyceps): Contains unbound and protein- bound polysaccharides. Among its many functions, it can support proper cholesterol metabolism, increase HDL (high-density lipoprotein or good cholesterol), and promote smooth muscle relaxation. It buttresses lung and kidney function by reinforcing Qi, or functional energy, of these organs..
Coriolus versicolor (Turkey Tail, PSK fraction): contains a protein- bound polysaccharide with beta-1,4-glucan as its main component, and also beta-1,3-linkages. 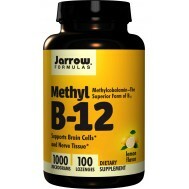 This mushroom supports the immune response and promotes liver function. Tremella fuciformis(White Woodear): contains unbound and protein- bound polysaccharides and triterpene carboxylic acids to enhance cell and humoral immunity. It promotes sustained energy levels, enhances blood circulation, strengthens the heart, nourishes the yin of the stomach and invigorates the brain. * It is also a Qi tonic. Agaricus subrufescens (Blasei): is popular in Japan as an immunomodulator and its polysaccharides stimulate T-cell subsets. Anyone who has followed the health news for a bit, will know there is widespread fear about antibiotic resistance spiralling out of control. Ever since penicillin, the first mass-produced antibiotic was introduced in the 1940s, bacteria have become resistant against antibiotics at an alarming pace. Antibiotics are considered one of the greatest advances in medicine because they prevented a lot of casualties after formerly uncontrollable bacterial infections. Unfortunately, many individuals seek this prescription as the first line of defense. Overprescribing them has in turn resulted in the development of resistant bacteria. These bacteria don’t respond to the antibiotics like they might have in the past. The body is under constant attack from oxidative stress. Oxygen in the body splits into single atoms with unpaired electrons. Electrons like to be in pairs, so these atoms, called free radicals, scavenge the body to seek out other electrons so they can become a pair. This causes damage to cells, proteins and DNA. Free radicals are associated with human disease, including cancer, atherosclerosis, Alzheimer's disease, Parkinson's disease and many others. They also may have a link to aging, which has been defined as a gradual accumulation of free-radical damage. Substances that generate free radicals can be found in the food we eat, the medicines we take, the air we breathe and the water we drink. These substances include fried foods, alcohol, tobacco smoke, pesticides and air pollutants. Free radicals are the natural byproducts of chemical processes, such as metabolism. Free radicals can be seen as as waste products from various chemical reactions in the cell that when built up, harm the cells of the body. Yet, free radicals are essential to life. The body's ability to turn air and food into chemical energy depends on a chain reaction of free radicals. 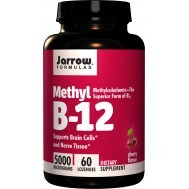 Free radicals are also a crucial part of the immune system, floating through the veins and attacking foreign invaders. It is that time of year again when we are hit most with hay fever attacks. Hay fever is caused by flowers, grasses and trees that rely on wind for pollination and shed pollen in large amounts. Up to 30% of people in European countries suffer from one type of hayfever or another, which means they get an allergic reaction to some type of pollen, with the most common one causing problems being birch and grass pollen. As most birch pollen is produced in April and grass pollen season starts in May, both April and May can be called 'hay fever' months. If you have a medical condition, are pregnant, lactating, or trying to conceive, are under the age of 18, or are taking medications, consult your health care practitioner before using this product.